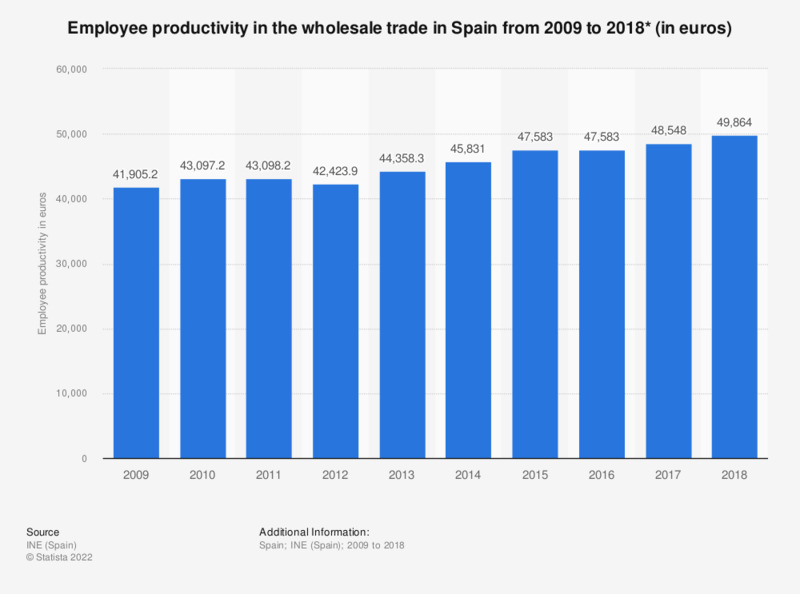 This statistic represents the average productivity value of employees working in the wholesale trade in Spain between 2009 and 2016. With the exception of 2012, the productivity value created by wholesale trade employees grew every year. In 2016, wholesale employees added almost 48 thousand euros worth of productivity value. *Value added per person employed. Data excludes motor vehicles and motorcycles.